The Registrar attended a conference of European Lobbying registrars hosted by the Irish Lobbying registrar in Dublin on 21/22 March. 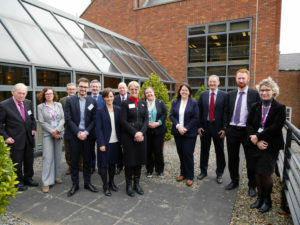 Representatives from France, Austria, Scotland, the EU and Lithuania gathered to review the current state of implementation of their registers and to share best practice in stakeholder engagement, compliance and measuring success. Despite the differences in legislation and organisational approaches, a rare opportunity to learn from the experience of others and help to inform the future approach of the Office to education and communications, especially using social media is useful and will enrich the plans the Office has for the year ahead.